While more women are establishing life-long careers, today's fathers are finding themselves taking up more and more childcare duties. Telecommuting opportunities and other technological developments have helped fuel this trend. Naturally, there are both positive and negative aspects to being a stay at home father. Being a non-traditional father takes confidence, flexibility, patience and creativity, and there are some terrific benefits that children of stay-at-home dads will enjoy. 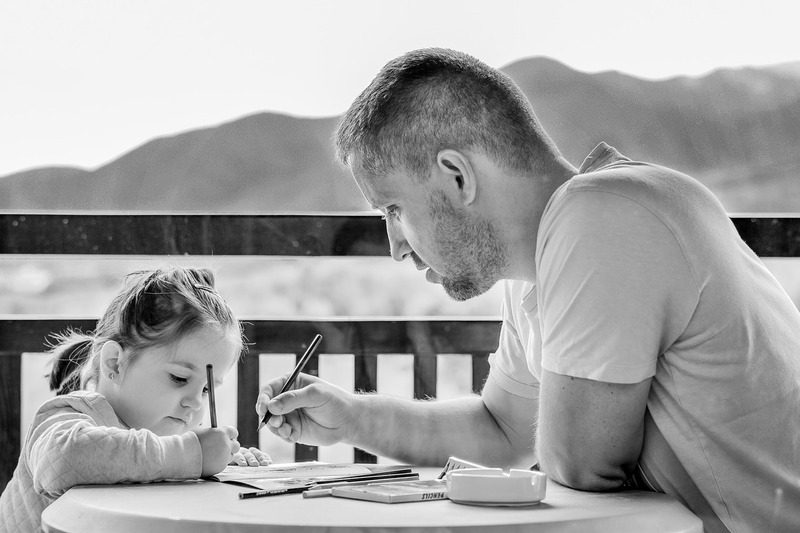 However, some dads who work from home or are primary caregivers for their children may face both internal and external stigmas. Below are some tips to help you make the most of being a stay at home dad. Every familial species of mammal learns a great deal about how to relate to others through horseplay, and fathers are great at engaging with kids in silly physical games. Playing with your kids is wonderful exercise. It establishes trust and it gives parents the opportunity to teach them how to play fair, play nice and to be considerate of other people’s feelings. If, by chance, your cooking skills aren’t up to par, cooking for small children can be a great way to practice. Research shows that spending time with kids in the kitchen goes a long way to helping them develop emotional and social skills. If you work from home, it can be difficult for children to know when you’re working and to understand that you need to be allowed to focus. If you telecommute, there is a serious temptation to take breaks while remaining at your desk. Make your workstation a place for work only. If you enjoy using the Internet in your free time, use a separate computer. When you are working, it should be clear that interruptions are to be kept to a minimum. Children push boundaries and break rules. They do this for many reasons and parenting can be quite stressful. Having children ask for treats, toys, or other things frequently can be frustrating. But yelling at them or giving them a low quality ‘no’ does not help. When you turn down a child’s request, tell them ‘no’ in a calm, firm and kind tone of voice. Show them firmness, knowing that your calmness will be perceived as strength. Studies have shown that meditation reduces activity in the part of the brain involved in the ‘what about me?’ response. This is key to becoming resilient to stress, improving patience and delaying gratification.